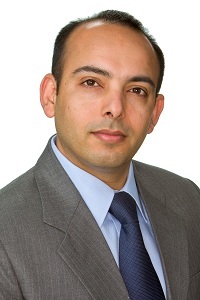 Parvez Naqvi is the Director of Technology for Thomson Reuters, with over 15 years of experience. From his humble beginnings as a software engineer in New Delhi, India, Parvez swiftly established himself in the financial services industry. He has spent the last 9 years leading global technology teams across the United States, United Kingdom, China, and India in developing enterprise-level systems and managing complex integration projects post mergers and acquisitions. Parvez received his Master’s degree in Business Administration from The Wharton School of Business at the University of Pennsylvania in 2013. Concentrating on Finance and Entrepreneurial Management, he immersed himself in the curriculum, citing Advanced Corporate Finance, Corporate Restructuring, Mergers and Acquisitions, International Corporate Finance, Islamic Finance, and Venture Capital amongst his favorite courses. His most notable accomplishments while attending the Wharton School included winning the Global Innovation Challenge for Product launched by a Fortune 300 Company (for which he was awarded the honor of ringing the NYSE closing bell) and developing a U.S. market entry strategy for Spanish Biotechnology companies to enter U.S. markets. Parvez developed his personal interest in Islamic Finance studying under Michael J.T. McMillen in the course Finance in the Middle East and North Africa. During the class trip to Abu Dhabi and Dubai, McMillen introduced Parvez to Islamic Finance, and Parvez’s professional interest in the field has grown ever since. Following an essay, in which Parvez analyzed the Islamic Interbank Benchmark Rate (IIBR) by reviewing the fatwa and sharia documents which made the IIBR possible and comparing IIBR processes to those used for London Interbank Offered Rate (LIBOR), he enrolled in a specialized course with McMillen to deepen his understanding of Islamic finance, banking, and investments. With McMillen as his mentor, Parvez studied the key Sharīʿah principles, important fatwas, and the unique differences between Islamic and Western finance. He also studied topics such as Private Equity in Islamic Finance, Ijāra, Murabaha, Tawarrug, and Musharaka in great detail. Before enrolling in The Wharton School, Parvez developed his extensive knowledge of the finance industry working for Thomson Reuters. He began his career at Thomson Reuters in 2001 as an engineer, with his focus on public filings, research reports, and insider trading. Parvez integrated the Thomson and Primark systems and conceptualized innovative business processes which not only reduced data acquisition time from three hours to five minutes, but greatly improved overall data quality by automating processing. Parvez was also responsible for migrating systems developed in Poland to an office in Bangalore and leading the Thomson and CDA/Spectrum integration of insider trading systems. In 2004, Parvez was promoted to Senior Architect for Thomson Reuters, overseeing company financials, estimates analytics and reference data projects. Parvez also worked extensively in planning and overseeing consolidation of Thomson and Primark datacenters. In 2008, Parvez was named the Technology Director for Thomson Reuters, supervising development teams of up to 60 engineers based in the United States, United Kingdom, China, and India. In this role, Parvez developed multi-year development plans and supported critical product development roadmaps. He developed strategies to optimize global resource utilization and to prioritize overall project functionality. Parvez also spearheaded projects including the development of the Entity Aggregation Navigation (EAN) system, Metadata Systems, and a global data distribution system. Parvez hopes to apply his knowledge of finance, management, and technology, as well as his experience with Thomson Reuters, to the field of Islamic Finance. He is confident that he can make similar innovations and improvements to the Islamic finance industry. Parvez currently resides in Washington D.C. with his wife and two daughters. In his spare time, he is an avid golfer.